The first manned lunar landing mission, Apollo 11, launched from the Kennedy Space Center (KSC) in Florida via the Marshall Space Flight Center (MSFC) developed Saturn V launch vehicle on July 16, 1969 and safely returned to Earth on July 24, 1969. Aboard the space craft were astronauts Neil A. Armstrong, commander; Michael Collins, Command Module (CM) pilot; and Edwin E. (Buzz) Aldrin Jr., Lunar Module (LM) pilot. 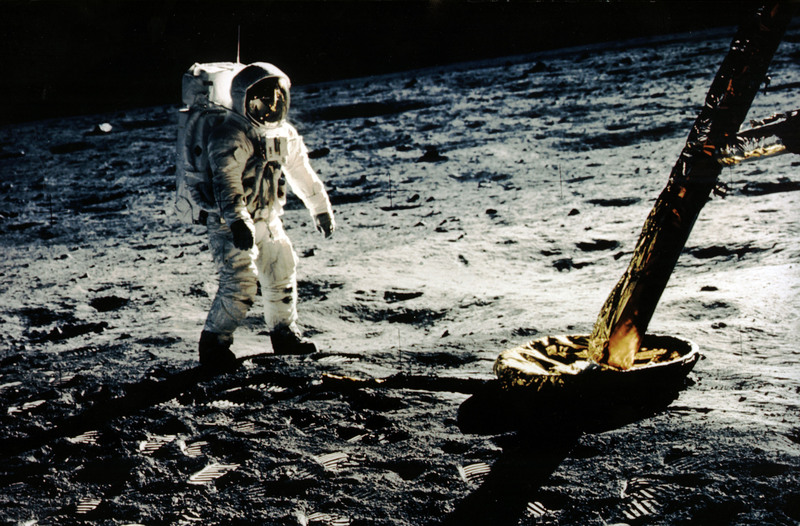 The CM, piloted by Michael Collins, remained in a parking orbit around the Moon, while the LM, named “Eagle’’, carrying astronauts Armstrong and Aldrin, landed on the Moon in the Sea of Tranquility. Die NASA hat den riesigen Katalog an Fotos, Videos und Audiodateien verschlagwortet und mit Metadaten aufbereitet, so dass auch Treffer ohne genaue Bezeichnung des gesuchten Inhalts möglich sein sollen. 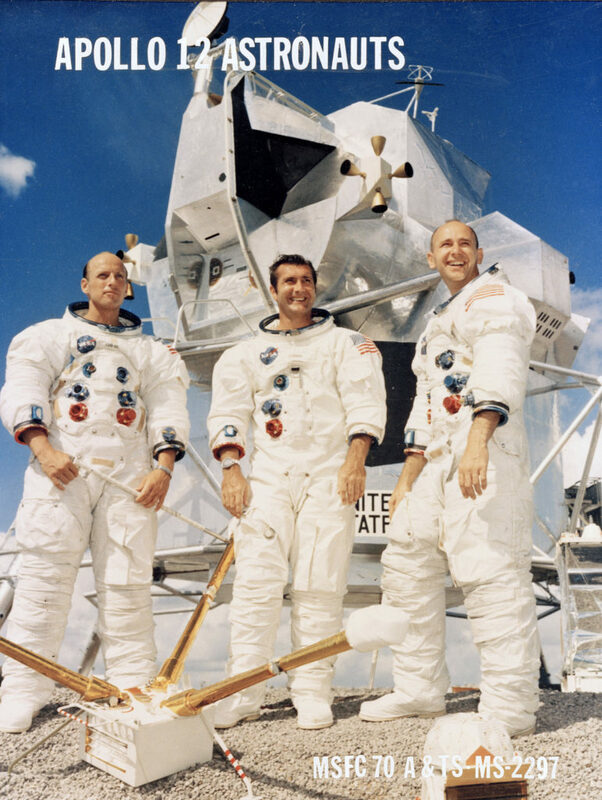 The Apollo 12 three-man crew pictured left to right are: Astronauts Charles Conrad, Spacecraft Commander; Richard F. Gordon, pilot of the Command Module `Yankee Clipper‘; and Alan L. Bean, pilot of the Lunar Module `Intrepid‘. Vorherige: Vorheriger Beitrag: LTE-Funknetz bald auch auf dem Mond?